X_STUDY supports multiple chart types. 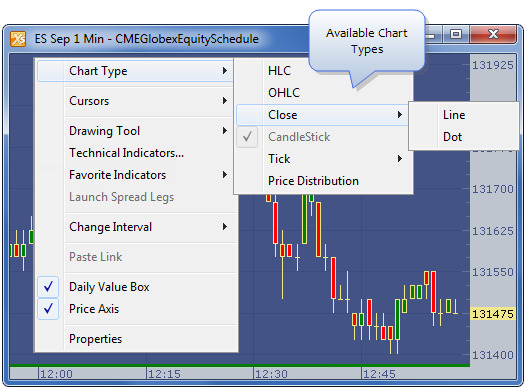 You may change the chart type using the Chart right-click context menu. Right-click the chart and select Chart Type from the right-click context menu. Select the type of chart you would like to display.